Some pet owners when they get a dog for some reason feel that spaying and neutering is a waste of money. They may feel, especially if they have a female that their dog should have one litter and then have her spayed. 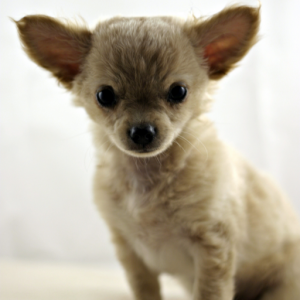 Those that have male dogs believe that their dog loses their “manliness” if neutered. Often these male dogs will get loose and go out on the hunt for a female in heat. This can result in unwanted pregnancies which means unwanted puppies. There are consequences for not getting your pet spayed or neutered. I found the following article in a Dog Forum. Please read and hopefully if you don’t believe in spaying or neutering this will change your mind! Editor’s Note: The following story was received by me via a friend with Border Collies. Even though it is not specifically about Chesapeake Bay Retrievers, I chose to leave it as is. It is a very relevant story about what happens to dogs that are unplanned for. The author, Chris Benton, has given permission to reprint it here and permission for you to use and pass on to everyone. Her recommendation is that every person, who takes an obedience class or gets a puppy, should have a copy of this story. I agree with that recommendation. After I was discharged from the Navy, Jim and I moved back to Detroit to use our GI Bill benefits to get some schooling. Jim was going for a degree in Electronics and I, after much debating, decided to get mine in Computer Science. One of the classes that was a requirement was Speech. let alone to be the center of attention as I stuttered my way through some unfamiliar subject. But I couldn’t get out of the requirement, and so I found myself in my last semester before graduation with Speech as one of my classes. On the first day of class our professor explained to us that he was going to leave the subject manner of our talks up to us, but he was going to provide the motivation of the speech. We would be responsible for six speeches, each with a different motivation. For instance our first speech’s purpose was to inform. He advised us to pick subjects that we were interested in and knowledgeable about. I decided to center my six speeches around animals, especially dogs. 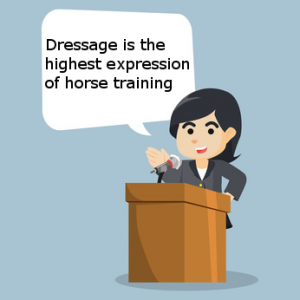 For my first speech to inform, I talked about the equestrian art of dressage. For my speech to demonstrate, I brought my German Shepherd, Bodger, to class and demonstrated obedience commands. Finally the semester was almost over and I had but one more speech to give. This speech was to take the place of a written final exam and was to count for fifty per cent of our grade. The speeches motivation was to persuade. After agonizing over a subject matter, and keeping with my animal theme, I decided on the topic of spaying and neutering pets. My goal was to try to persuade my classmates to neuter their pets. So I started researching the topic. There was plenty of material, articles that told of the millions of dogs and cats that were euthanized every year, of supposedly beloved pets that were turned in to various animal control facilities for the lamest of reasons, or worse, dropped off far from home, bewildered and scared. Death was usually a blessing. The final speech was looming closer, but I felt well prepared. My notes were full of facts and statistics that I felt sure would motivate even the most naive of pet owners to succumb to my plea. A couple of days before our speeches were due, I had the bright idea of going to the local branch of the Humane Society and borrowing a puppy to use as a sort of a visual aid. I called the Humane Society and explained what I wanted. They were very happy to accommodate me. I made arrangements to pick up a puppy the day before my speech. The day before my speech, I went to pick up the puppy. I was feeling very confident. I could quote all the statistics and numbers without ever looking at my notes. The puppy, I felt, would add the final emotional touch. When I arrived at the Humane Society I was met by a young guy named Ron. He explained that he was the public relations person for the Humane Society. He was very excited about my speech and asked if I would like a tour of the facilities before I picked up the puppy. I enthusiastically agreed. We started out in the reception area, which was the general public’s initial encounter with the Humane Society. The lobby was full, mostly with people dropping off various animals that they no longer wanted Ron explained to me that this branch of the Humane Society took in about fifty animals a day and adopted out twenty. We left the reception area. Ron led me into the staging area where all the incoming animals were evaluated for adoptability. Over half never even made it to the adoption center. There were just too many. Not only were people bringing in their own animals, but strays were also dropped off. By law the Humane Society had to hold a stray for three days. If the animal was not claimed by then, it was euthanized, since there was no background information on the animal. There were already too many animals that had a known history eagerly provided by their soon to be ex-owners. As we went through the different areas, I felt more and more depressed. No amount of statistics, could take the place of seeing the reality of what this throw-away attitude did to the living, breathing animal. It was very overwhelming. Finally Ron stopped in front of a closed door. “That’s it,” he said, “except for this.” I read the sign on the door. 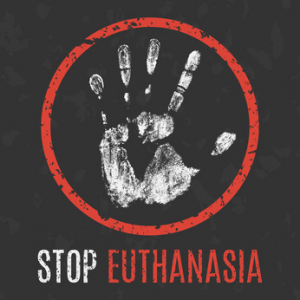 “Euthanization Area.” “Do you want to see one?” he asked. Before I could decline, he interjected, “You really should. You can’t tell the whole story unless you experience the end.” I reluctantly agreed. “Good,” He said ” I already cleared it and Peggy is expecting you.” He knocked firmly on the door. It was opened immediately by a middle aged woman in a white lab coat. “Here’s the girl I was telling you about,” Ron explained. Peggy looked me over. “Well I’ll leave you here with Peggy and meet you in the reception area in about fifteen minutes. I’ll have the puppy ready.” With that Ron departed, leaving me standing in front of the stern-looking Peggy. Peggy motioned me in. As I walked into the room, I gave an audible gasp. The room was small and spartan. There were a couple of cages on the wall and a cabinet with syringes and vials of a clear liquid. In the middle of the room was an examining table with a rubber mat on top. There were two doors other than the one I had entered. Both were closed. One said to the incinerator room, and the other had no sign, but I could hear various animal noises coming from behind the closed door. In the back of the room, near the door that was marked incinerator were the objects that caused my distress: two wheelbarrows, filled with the bodies of dead kittens and puppies. I stared in horror. Nothing had prepared me for this. I felt my legs grow weak and my breathing became rapid and shallow. I wanted to run from that room, screaming. Peggy seemed not to notice my state of shock. She started talking about the euthanization process, but I wasn’t hearing her. I could not tear my gaze away from the wheelbarrows and those dozens of pathetic little bodies. Finally, Peggy seemed to notice that I was not paying attention to her. “Are you listening?,” she asked irritably. “I’m only going to go through this once.” I tore my gaze from the back of the room and looked at her. I opened my mouth to say something, but nothing would come out, so I nodded. She told me that behind the unmarked door were the animals that were scheduled for euthanasia that day. She picked up a chart that was hanging from the wall. “One fifty three is next,” she said as she looked at the chart. “I’ll go get him.” She laid down the chart on the examining table and started for the unmarked door. Before she got to the door she stopped and turned around. “You aren’t going to get hysterical, are you?”, she asked, “Because that will only upset the animals.” I shook my head. I had not said a word since I walked into that room. I still felt unsure if would be able to without breaking down into tears. As Peggy opened the unmarked door I peered into the room beyond. It was a small room, but the walls were lined and stacked with cages. It looked like they were all occupied. Peggy opened the door of one of the lower cages and removed the occupant. From what I could see it looked like a medium-sized dog. She attached a leash and ushered the dog into the room in which I stood. As Peggy brought the dog into the room I could see that the dog was no more than a puppy, maybe five or six months old. The pup looked to be a cross between a Lab and a German shepherd. He was mostly black, with a small amount of tan above his eyes and on his feet. He was very excited and bouncing up and down, trying to sniff everything in this new environment. Peggy was quick and efficient, from lots of practice, I guessed. She laid one fifty three down on his side and tied a rubber tourniquet around his front leg. She turned to fill the syringe from the vial of clear liquid. All this time I was standing at the head of the table. I could see the moment that one fifty three went from a curious puppy to a terrified puppy. He did not like being held down and he started to struggle. It was then that I finally found my voice. I bent over the struggling puppy and whispered “Sam. Your name is Sam.” At the sound of his name Sam quit struggling. He wagged his tail tentatively and his soft pink tongue darted out and licked my hand. And that is how he spent his last moment. I watched his eyes fade from hopefulness to nothingness. It was over very quickly. I had never even seen Peggy give the lethal shot. The tears could not be contained any longer. I kept my head down so as not to embarrass myself in front of the stoic Peggy. My tears fell onto the still body on the table. “Now you know,” Peggy said softly. Then she turned away. “Ron will be waiting for you.” I left the room. Although it seemed like it had been hours, only fifteen minutes had gone by since Ron had left me at the door. I made my way back to the reception area. True to his word, Ron had the puppy all ready to go. After giving me some instructions about what to feed the puppy, he handed the carrying cage over to me and wished me good luck on my speech. That night I went home and spent many hours playing with the orphan puppy. I went to bed that night but I could not sleep. After a while I got up and looked at my speech notes with their numbers and statistics. Without a second thought, I tore them up and threw them away. I went back to bed. Sometime during the night I finally fell asleep. Two days later, on the last day of class, one of my classmates came up to me. She was an older lady that I had never spoken to in class. She stopped me on our way out of the classroom. “I want you to know that I adopted the puppy you brought to class,” she said. What an amazing story about Sam. 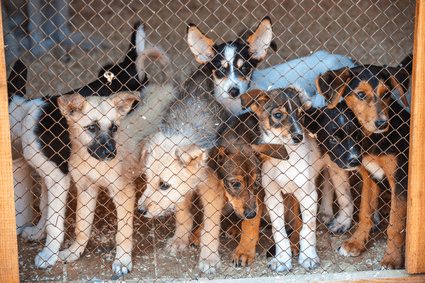 I feel that if you do not want puppies, then spaying or neutering your dog is the best thing. I have also heard that it will help in male dogs to not get testicular cancer — so its kinda of like a win win. How many pets do you own? Are dogs your favorite animal? Hi Michael You are right male dogs that are neutered are less likely to get testicular cancer and female dogs are less likely to get malignant and benign tumors of the mammary glands. Like you said it is a win win. Right now I have one dog that is from a shelter, a cockatiel and 19 ducks. As far as a favourite animal it is a toss up between the dog and the cockatiel. They both have very endearing qualities. Maureen, I think this is the most emotional post I have ever read. I still have tears in my eyes. I must admit my opinion of much of the human race plummets every time I see something like this. Thank goodness for the rescue groups but even they have trouble coping with the unwanted pets influx. We have rescue cats. All but one found us and they were raced off to the vet immediately for the desexing deed. The odd one out we got from the cat home already desexed, vaccinated and microchipped. And I only wish I could have taken more cats from there. This completely foolish thing lots of people have about desexing male animals is just so absurd. They cause more population increase than any female as they can, as they say, screw around while the female is out of action. After writing this I took another look around your site. You sure have dog issues covered. Keep up the great article writing. Thanks Helen. You have to wonder sometimes why people think that a dog or a cat needs to have kittens or puppies. Animals do have the instinct to breed but if you take that tiny part of them away they can lead a very happy and healthy life. People have to stop humanizing our pets. They do not think like us. They will be complete without a family.. I think that everyone should get their dog spayed or neutered. There are so many dogs in the shelters from people that did not get their dog fixed and then they unexpectedly ended up with a litter that they just had to get rid of. 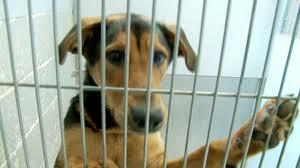 It is so sad to walk through any of the shelters and see all the dogs knowing that a lot of them will be euthanized. 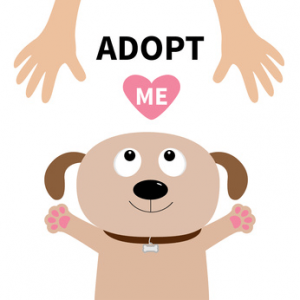 Unfortunately where I live the shelters are so overwhelmed with dogs (and cats too) that they have been continuously offering them for adoption with no fee. That’s just to clear out the shelter to make room for more dogs they know they will have to take in. The story you shared is very sweet and had a happy ending. 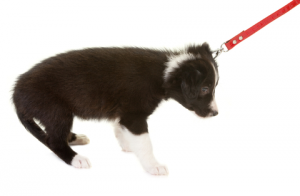 I think it is our responsibility to take your puppy for a spay or neuter as soon as they are ready. Thank you for sharing this story! Thanks for your comments Jen. The dog we have now we got from the shelter. I saw her online and knew she was the dog for us. We were lucky that when we went to see her we did not have to do that walk through the shelter. I find that so upsetting. They brought her out to us and after a get to know you walk we had to go and get our other dog and see if they would get along. Thankfully they did so home she came with us the next day.